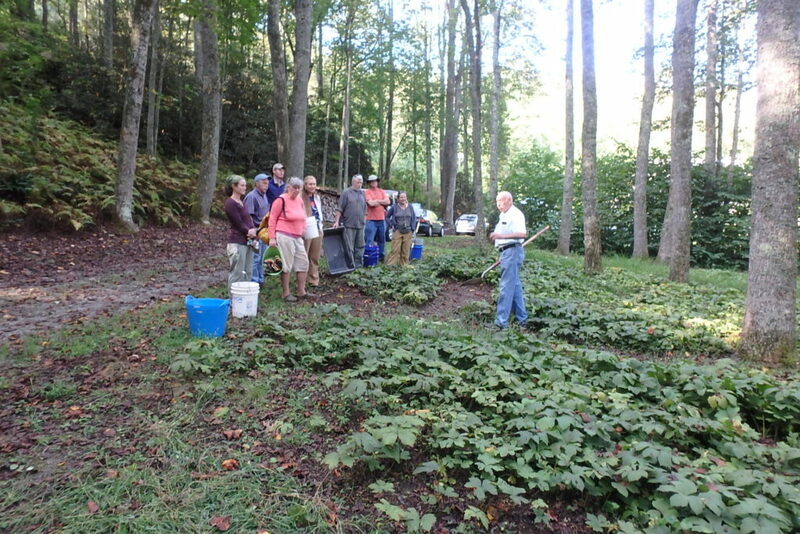 Group of forest farmers preparing to dig goldenseal to transplant to their own farms. Special Two-Day Intensive Forest Farming Workshop! 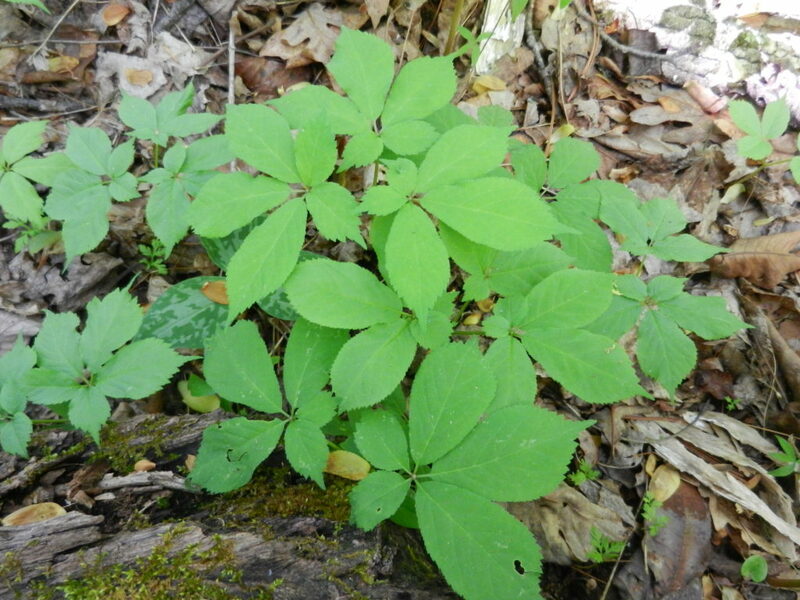 Many of you have been asking for more in-depth education on growing forest botanicals such as ginseng, goldenseal, and black cohosh. So, working in partnership with the Appalachian Beginning Forest Farming Coalition, Warren Wilson College, and Organic Growers School, we have designed such a workshop and are bringing it to you at the end of this month! Join us for two full days of classes and hands-on, in the field sessions at beautiful Warren Wilson College in Swannanoa, NC. And we have worked hard to make this very affordable: $100 per person which includes lunch and dinner on Saturday and lunch on Sunday. Ginseng growing in a forest garden. We have a great lineup of speakers including yours truly, Dr. Jeanine Davis, long-time researcher and educator on forest farming at NC State University and lead author of the book Growing and Marketing Ginseng, Goldenseal and Other Woodland Medicinals; Dr. Eric Burkhart, forest farming researcher and educator from Penn State University who spearheaded the creation of the Forest Grown certification program; Dr. Dave Ellum, forest director and educator at Warren Wilson College; Margaret Bloomquist, research assistant in my program, herbalist, and farmer with lots of experience tending our woodland gardens and working with local herb growers and buyers; Shawn Swartz, forest manager at Warren Wilson College; Meghan Baker, Buncombe County extension agent working with small farms who has a special interest in woodland botanicals and is a whiz with budgets; Jennifer Flynn who leads the Blue Ridge Naturally brand for the NC Natural Products Association; Elena Rogers, food safety area specialized agent with NCSU; Rolando Boye, on the GMP guidance team at the US Botanical Safety Laboratory; and more! 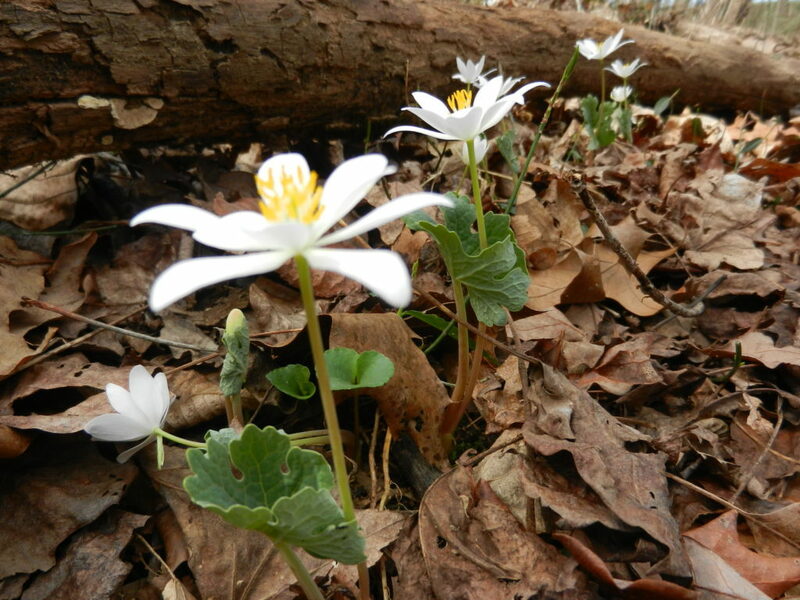 Bloodroot flowering in early spring. • Ginseng Expo-Everything You Ever Wanted to Know About Ginseng-Register Now!! !